With anxiety disorders becoming a part of our busy lives, it’s critically important to find a way to tame your mind and body in a natural way. Anxiety can cause mild to serious health issues, but more often it triggers sleep disorders, including insomnia. Recently, many people have been investing in weighted blanket, also known as gravity blankets, to help treat their anxiety at-home without any side-effects. Although weighted blankets have typically been used as a treatment by autistic people, numerous researchers have proven that anyone with an anxiety disorder can reap some powerful health benefits from weighted blankets. 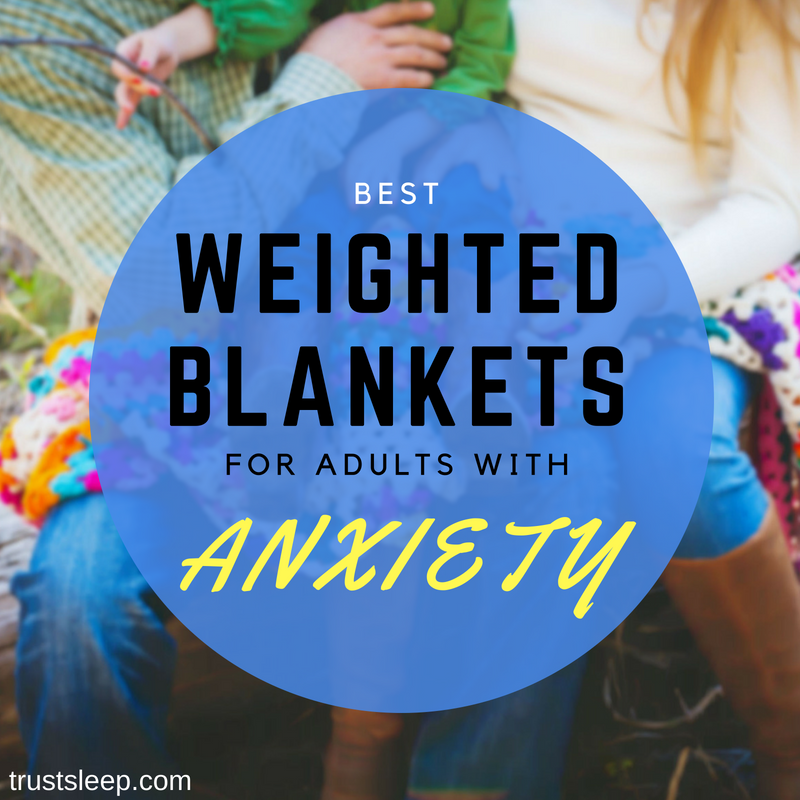 Continue reading to discover the best weighted blankets for adults with anxiety, and find out how these special comforters can help you if you suffer from panic attacks, insomnia, anxiety, and more. Can A Child Use A Weighted Blanket? Rocabi Premium Weighted Blanket For Adults is a phenomenal weighted blanket that can easily help you deal with your anxiety, stress, and various other ailments. 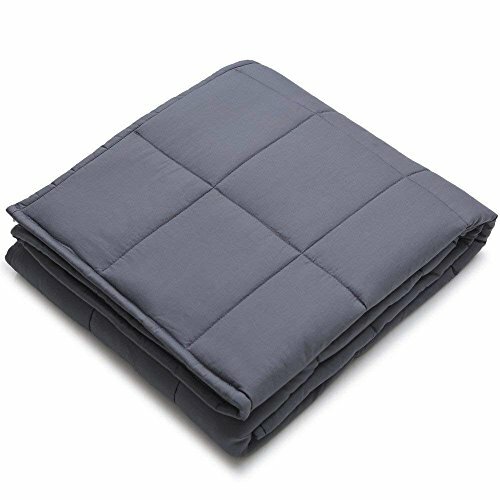 The weighted blanket is made out of premium materials and has a high build-quality and is incredibly comfortable, meaning it will provide the utmost comfort and last for a long time. Additionally, the blanket can help keep you cool in the summertime and warm in the winter. It is also machine washable, which means that maintaining this gravity blanket is quite simple and easy. 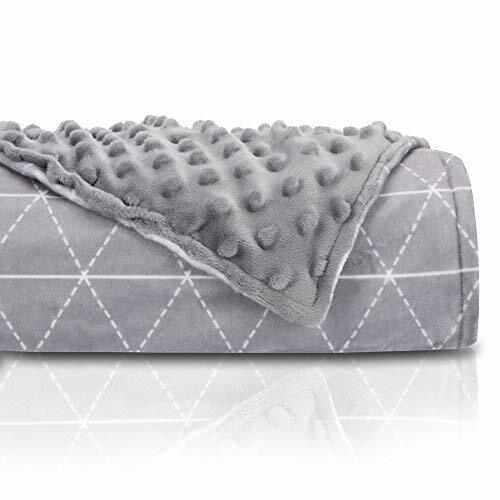 The Rocabi Premium Weighted Blanket activates Deep touch sense (DTP) by utilizing non-toxic glass beads, which are sewn in between the layers of the fabric. This simulates a hugging sensation, which can immediately help calm your anxiety and allow you to fall asleep more easily. The weighted blanket is 60″ by 80″, meaning it fits a queen sized bed easily. We recommend utilizing a blanket weight that is 7-12% of your overall body weight. 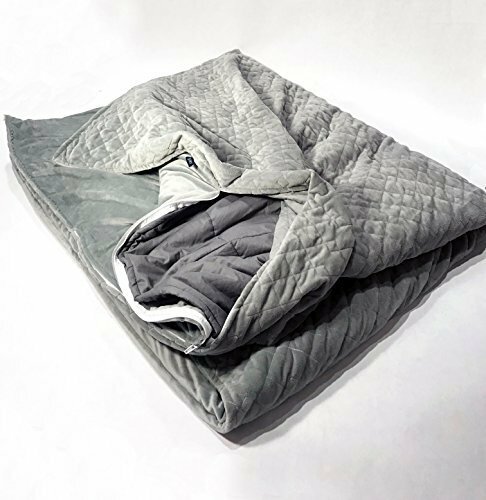 YnW Weighted Blanket is a top-notch weighted blanket that is made of premium quality materials and can therapeutically help you deal with anxiety, insomnia, stress, and various other issues. We are huge fans of the YnW Weighted Blanket because there are a variety of possible size and color combinations, allowing for you to pick out the perfect Gravity Blanket for your own needs. You can purchase the 48″ by 72″ for a twin bed, 60″ by 80″ for a queen, and 80″ by 87″ for a king-sized bed. The YnW Weighted Blanket is made from 100% premium cotton, which makes it a phenomenal, breathable weighted blanket. Additionally, the weighted beads are premium non-toxic, odorless glass beads, which are much more comfortable than the standard weighted pellets used in many other gravity blankets. We highly recommend utilizing the YnW Weighted Blanket if you are dealing with anxiety, stress, and more. The Magic Weighted Blanket has the notable honor of being one of the first commercially available weighted blankets in the world – they have been manufacturing these blankets since 1998. As one would imagine, being one of the first in the space has allowed them to craft a premium product that is difficult to rival. 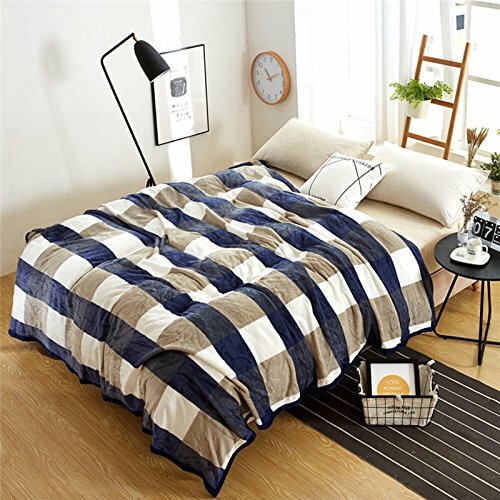 We are huge fans of The Magic Weighted Blanket because of its high-quality construction and use of Chenille fabric. Chenille is a velvety fabric that is ultra-comfortable and soft, which has additional calming effects on your anxiety. Additionally, The Magic Weighted Blanket is available in a plethora of sizes and colors, including Champagne, Lavender, Silver Grey, and more. We highly recommend considering this weighted blanket for help with your anxiety and other issues. Weighted blankets are a special type of therapeutic blanket filled with different kinds of evenly distributed weight – usually high-end glass or plastic pellets. Designed to provide a warming and calming sensation, weighted blankets provide gentle yet strong pressure to your body, mimicking the feeling of being hugged or held. There’s a 10% rule to follow when choosing the correct weight of your quilt. However, some random safety studies found that adults with anxiety can handle more than a 30lb blanket without facing any negative impact on their pulse rates, heart rate, or blood circulation no matter the body weight. As an adult, you may not have to worry about ignoring the 10% safety rule, but it’s important to choose the quality. We highly recommend the YnM Weighted Blanket that is designed specifically for people with ADHD, anxiety, and insomnia. One of the best things about weighted blankets is that it has different sizes, including a king bed size. 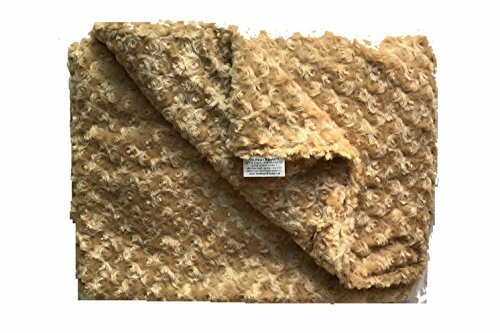 The weighted inner layer of the blanket is usually made of the top breathable cotton and even the smallest compartments are filled with non-toxic, hypo-allergenic, odor-free glass beads, which are evenly distributed in all compartments. You can use this blanket when you are anxious for a quick and calming nap or deep night’s sleep. 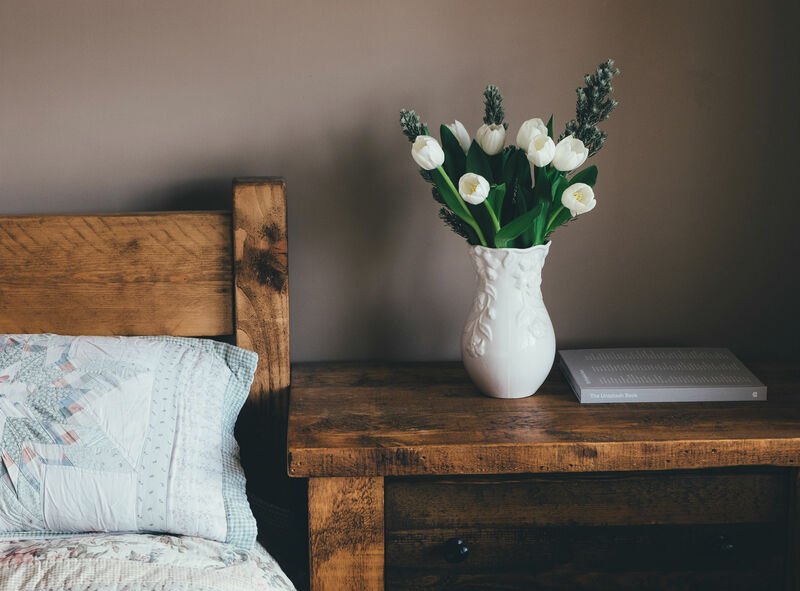 The quiet glass beads are professionally crafted won’t wake you up if you turn over in the middle of the night. There are 3 types of fabrics to consider depending on your preferences. Each fabric type has its pros and cons. The most popular fabric is definitely cotton that provides the feel of the high-thread-count sheets. Cotton weighted blankets are highly comfortable and help to reduce panic attacks in a jiff. We recommend the YnM Weighted Blanket made of 100% premium cotton. Flannel is another widely-used fabric type. Flannel weighted blankets, like WDDH Weighted Blanket, provides excellent breathability and comfort as well as a great calming effect. It’s perfect for short daily naps, reading, and sleep. Unlike cotton heavy quilts, flannel ones are mostly portable and are good for outdoor activities. Available in a wide variety of prints, fleece weighted blankets are a synthetic option that provides a cozy and warm feel. Our top choice is HYPNOS Weighted Blanket with Removable Micro-Fleece Cover. Even though the inner layer is cotton, the removable duvet cover is made of a super soft, micro-fleece fabric that helps to ease the anxiety symptoms in a natural way. The quilt is filled with non-toxic and hypo-allergenic plastic poly pellets. Most modern weighted blankets for adults are filled with steel shot beads, glass beads, or poly-pellets. In some cases, DIY quality blankets contain barley, rice, nuts, stones, or whatever can easily be obtained in the home. We recommend always purchasing a weighted blanket with premium glass beads or poly-pellets since they tend to be the most comfortable and durable. The deep pressure touch stimulation that a weighted blanket provides has a soothing, calming effect on adults with anxiety. Some of the best health benefits of such blanket are listed below. The pressure placed on the certain areas of the body helps to trigger the release of the chemicals in the brain, like serotonin, which banishes stress, improves mood, and alleviate anxiety. The sleep hormone melatonin is linked with the serotonin production that occurs due to a deep pressure touch stimulation. If your anxiety is caused by stress and you have trouble falling asleep, a gravity blanket may be the perfect solution to your insomnia. Depending on your anxiety disorder, you’re more likely to crave a firm hug every time you experience a panic attack or other symptoms of anxiety. Not only does a hug make you feel more at ease, it makes your body release oxytocin, the hormone that provides a feeling of relaxation, slows the heart, and helps to manage blood pressure. The weighted blankets imitate the security and warmth that firm hugs provide. Both a hug and a heavy blanket use a gentle yet firm pressure going deep within your body. This, in turn, stimulates a sense of repose that lets your body relax. Anxiety is one of the major causes of sleep disorders, particularly insomnia. The pressure of the heavy quilt provides a comfortable and safe environment for you to fall asleep in. The correctly chosen weighted blanket creates a sense of being swaddled. The blanket also creates a special physical connection that you feel and it gives you a sense of safety and warmth. As a result, your mind and body relax, helping you fall asleep faster. In theory, the answer is yes – but not any of the blankets on this list. The blankets for adults are generally much heavier, so you need to purchase a weighted blanket that your child can easily move. Also, you should never use a weighted blanket on a baby – always wait until your child is at least a few years old. Consult your doctor if you are planning on using a weighted blanket with a child in order get precise directions. This website does not provide any medical advice. The general consensus is that for maximum effect in treating adult anxiety, the weighted blanket should be between 7-12% of your body weight. 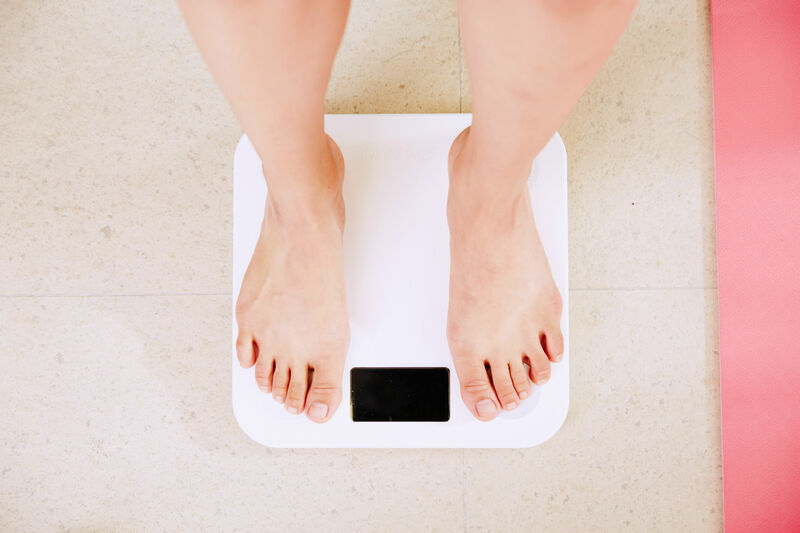 A super easy way to remember this to simply move the decimal place over by one – so if you are 180 pounds, you should consider utilizing a weighted blanket that is around 18 pounds. However, this is just a guideline – many people prefer weighted blankets that are a little bit heavier or a little bit lighter than the recommended weight. Please keep in mind that this website does not provide any medical advice. Always consult a doctor before starting a new treatment such as a weighted blanket. The weighted blankets are rather safe (just be sure to choose the right weight and fabric type) and effective in warding off the worst symptoms of anxiety disorders like insomnia and panic attacks. We recommend purchasing the Rocabi Premium Weighted Blanket For Adults so you can start getting relief immediately. Please keep in mind that this website does not provide any medical advice.